The Grapes of Roth will be performing at Zaharias on April 5 from 6:00pm-10:00pm. 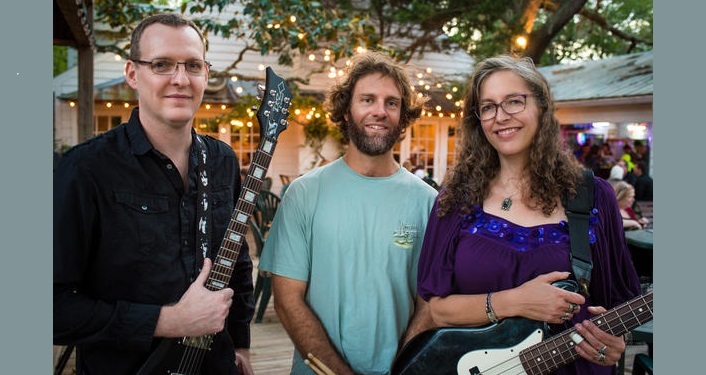 Founded by Elizabeth Roth, The Grapes of Roth are an energetic classic rock trio. Roth provides lead vocals and bass guitar for the group and is joined by Matt Van Rysdam (lead guitar, vocals) and Trey Moore (drums). They share similar tastes in music and the same philosophy towards their craft – they believe that their job is to make sure audiences have a good time! The group covers songs from artists you know and love such as The Beatles, Led Zeppelin, Heart, Stevie Wonder, The Eagles, The James Gang and Fleetwood Mac, etc, with a healthy dose of older rock, and more current hits mixed in.